As a 13 yr old I followed the white horse in stony. 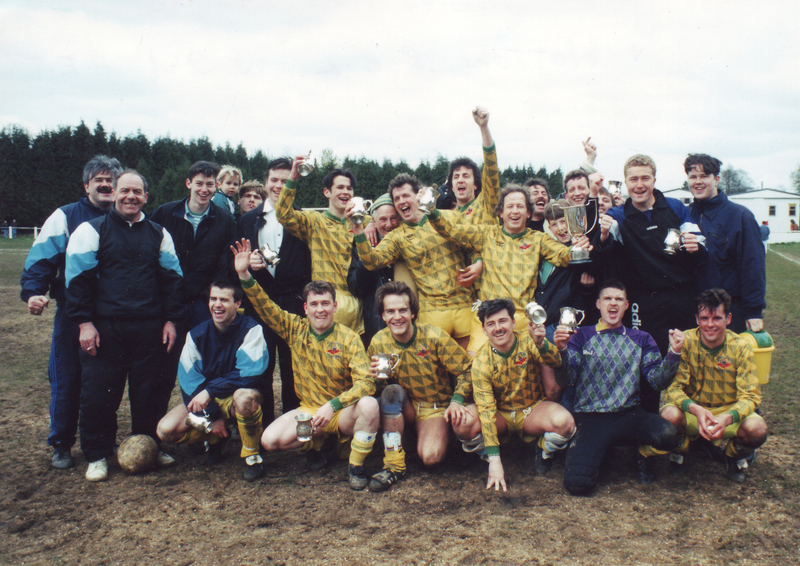 Who had most of the best players thinks end before Milton Keynes arrived. 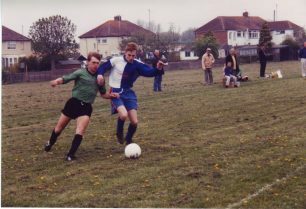 I played in the reservers at 15.Team’s from then Saints,Pullmans,Newton, I played for White horse, Greenleys res, Allen Bradley’s, Conniburrow. 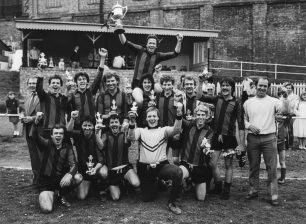 Redbridge, a gap of tyre I ran a team BPC from work then played for Leighton before ending with NO Police at 45. 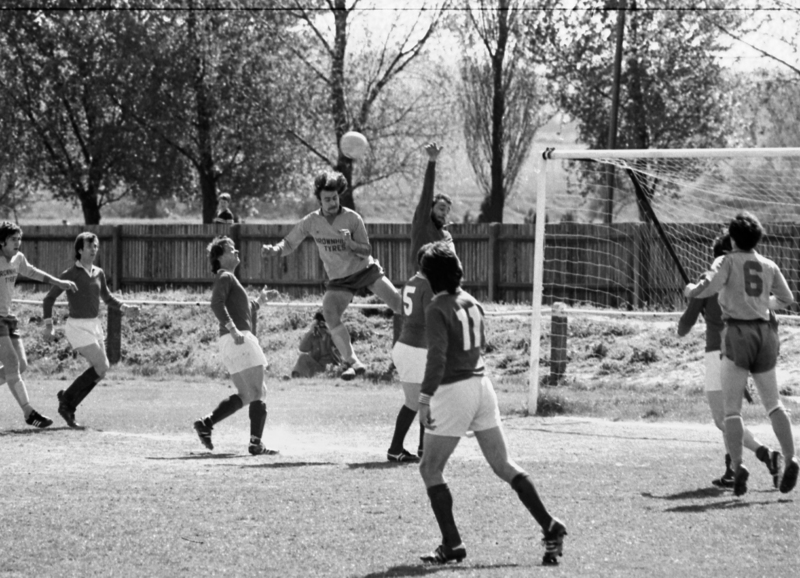 (That is me in goal in the picture v primrose, Alan Blackman may well have scored). I am still involved with the league as a referee for the last 15yrs. 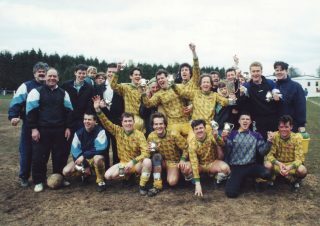 Just seen the comments re the Bletchley Sunday League and its brought back many old memories. When Sunday football was first allowed it was promoted as providing football for those people who wanted to play but could not play Saturday football for whatever reasons including not being good enough to get into Saturday league football teams. 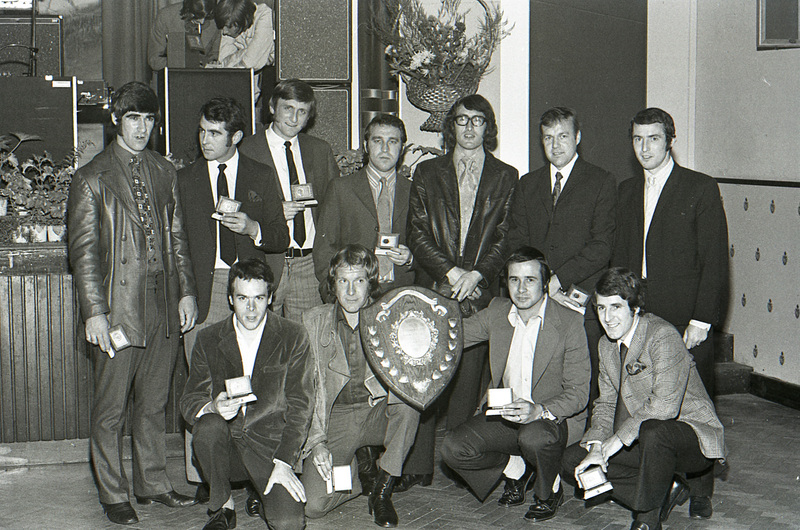 With this in mind 3 of us working at Westminster Bank in Bletchley decided to form a team under the name Westbank United and entered the newly formed Bletchley Sunday League 2nd Division in 1967. We soon found that rather than the expected friendly ‘kick about’ games were taken very seriously and many players were those who also played on Saturdays. Usually finding ourselves totally outclassed we lost most games but continued on for a second season often using better quality ‘ringers’ in the hope that we would not be found out but our results remained dismal!! Although we all enjoyed playing we realised that the overall standard of the league was getting too competetive and so we resigned from the league after our 2nd season. I think we came bottom one season and second bottom the other season. 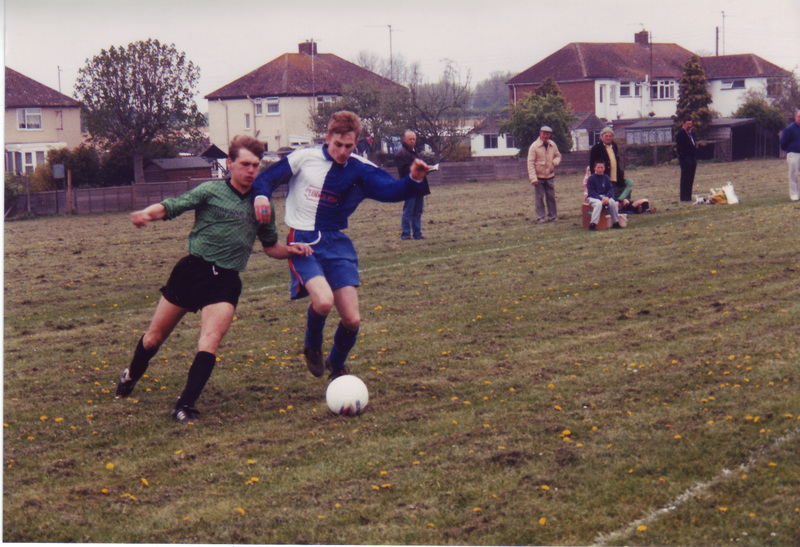 Our first season we were given a council pitch in Bond Avenue. The council marked out the pitch in creosote and put up a couple of goal posts. I used to use a paint brush to recreosote the pitch lines every month and we played with no football nets or even corner posts the first season. The league then brought in a rule that for the next season every team had to provide corner posts and goal nets which we borrowed. When in our second season we started seeing teams turning up with managers and doing warm up exercises (we shared a crate of beer most half times! )we knew that the time had come to reluctantly leave. Apart from having the worse playing record of any other side at that time we had one honour. That being the first Bletchley Sunday League side to be drawn against a team from another Sunday League in the new County Sunday Cup competion. We drew Stoke Mandeville Hospital. The Bletchley Sunday League even gave us a better ground to use for this cup game and several of the league organisers turned up to watch. We knew we were in for a tough time when we overheard one of the Stoke side saying he had drive up from Cornwall that morning just to play in this game. Also 3 of our players had not turned up so I quickly asked 3 youngsters who were having a kick about if they would assume our players names and turn out for us to get 11 players on the pitch! Things got worse very quickly when after only a few minutes our goal keeper broke his wrist making a save and had to go off. As we had no sub he strapped his wrist up and came on again as an outfield player. We had no replacement keeper and no one wanted to go in goal so we took it in turns! I think we said after 3 goals went in someone else would take over in goal. Well by the end of the game just about all of us had taken a turn in goal as we lost 16-1!!! Happy days!!! 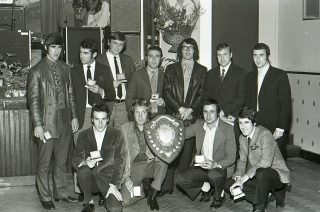 were a very successful side, having won the Sunday premier division and the Sunday cup two seasons running.